Why theater? : Performing onstage, particularly as an ensemble is like playing a game of odds and offers the same thrill as poker. A "good" performance in theater is all about the exact, unique positioning of the players onstage and the audience. Getting it "right" one night only gives the performers (and audience) a feeling that they want to try to reach that high again the next time. Tell us about Brownie and Lolli Go To Hollywood: It is an absurd musical comedy about an oddball song and dance duo who work at a hat shop in New Orleans. They have a long-awaited chance to be on TV, but need to get to Hollywood by tomorrow. In their attempts to come up with the money to get to their dream, they meet a host of zany characters. The show features four jazz, R&B & rock songs as well as vibrant dance numbers. Some people have said that the comedy reminds them of Absolutely Fabulous and Abbott and Costello. 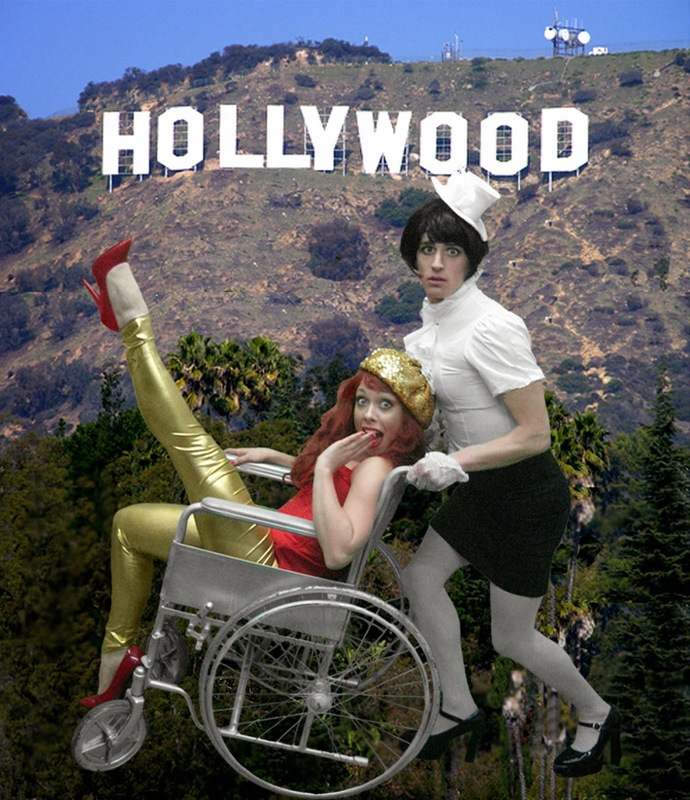 What inspired you to create Brownie and Lolli Go To Hollywood? : The whole idea emerged from a variety show I put together when I managed a funk band in North Carolina. Burlesque was making a comeback at that time (early 2000's) and we invited a local belly dancer to the shows to do her thing to funk and hip hop. During that time I came up with a stage name for the show host (Brownie Glendale) based on the rules for devising a burlesque name (name of first pet and name of first street). We had a singer who used to come for the show, but she was always late and frazzled when she got there. I gave her the nickname "Lolli." Long story short, I felt inspired to write a piece about a female double act similar to Abbott and Costello, who have only one thing in common: their desire to be famous Hollywood stars. What kind of theater speaks to you? What or who inspires you as an artist? : Musical plays like Hair, Tommy and the Rocky Horror Show speak to me because they do not follow the traditional musical theater format. As a musician first (my identity as an artist began with music), I appreciate pieces that offer solid tunes as well as plot. Both pieces can live independently that way. If you could work with anyone you’ve yet to work with, who would it be? : John Cleese. What show have you recommended to your friends? : In the Frigid Festival? My own. In general? Fela - The Musical. It was so extraordinary, I cried. Who would play you in a movie about yourself and what would it be called? : I would play myself because so far, I have not seen many high profile triple threat Black actresses who could. What’s your biggest guilty pleasure? : A whole pint of coffee Haagen Dazs in one sitting.